The king of animals on a metal poster ! 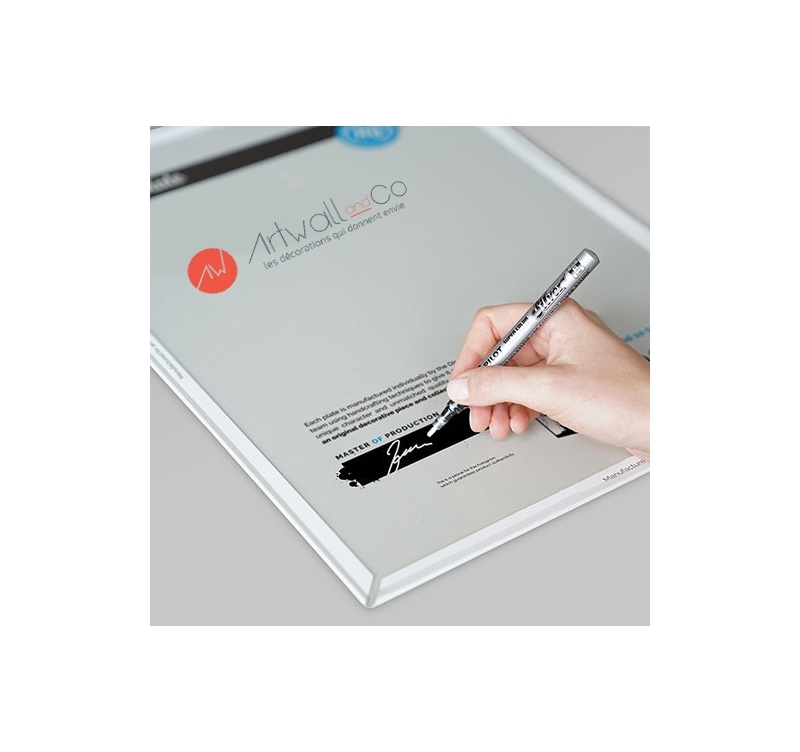 This black and white wall poster is delivered with its magnetic hanging system. The dimensions of this unique Lion poster are 48 X 67.5 cm. 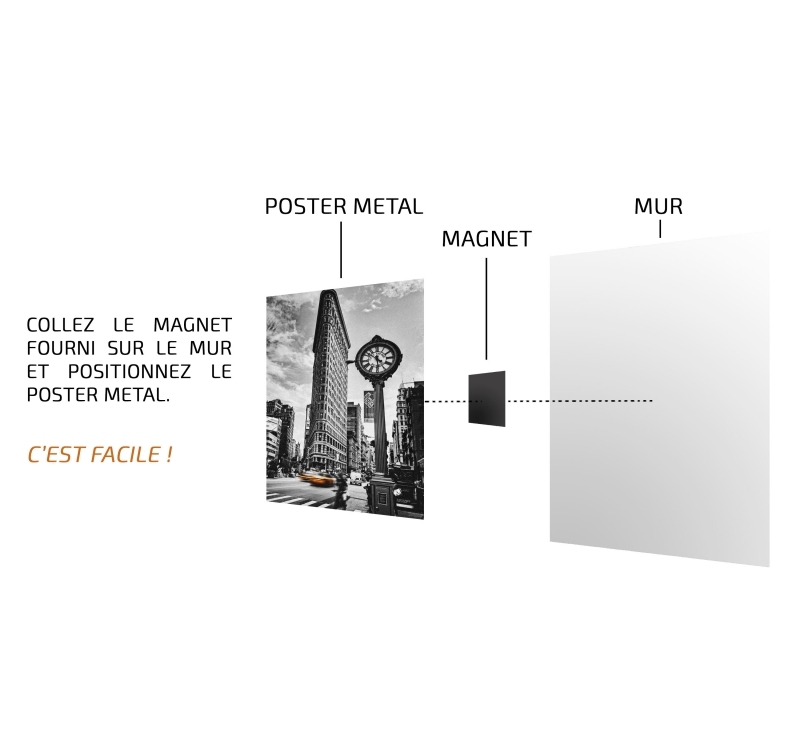 Free delivery in metropolitan France and Belgium for this Zen metal poster. You love nature ? You want to immerse yourself in the savannah ? Here is a lion metal poster that will fill you with happiness ! 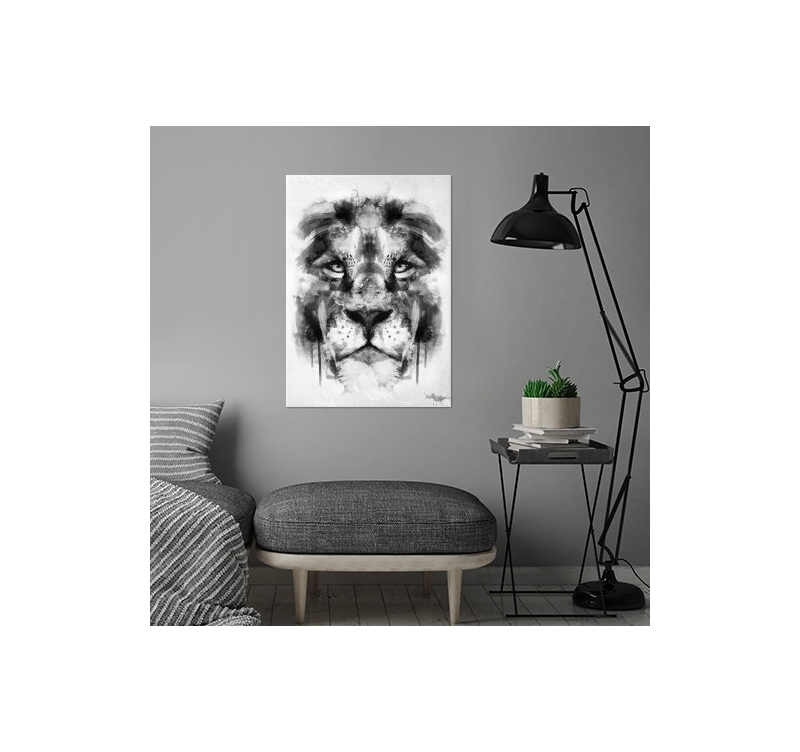 This black and white lion with its impressive and powerful eyes comes on a collector metal poster for your interior decoration. 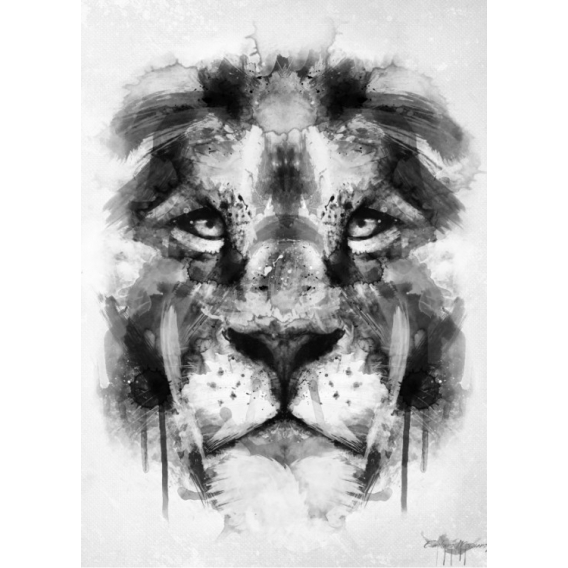 Let the king of the jungle preside on your walls with this animal poster created by our artists to propose you a wild creation. The hanging system will allow you to put this Nature lion animal poster on your wall without a hole or a screw. 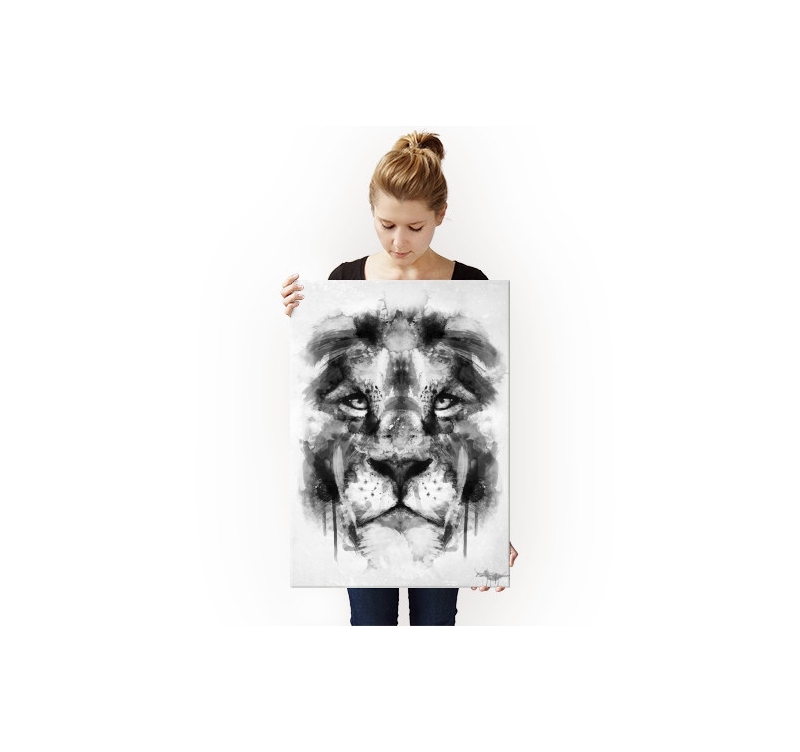 Purchasing this lion metal poster allows you to support the artist that created it.